The first event in Valve's freshly-restructured series of $3m Dota 2 tournaments has been announced. 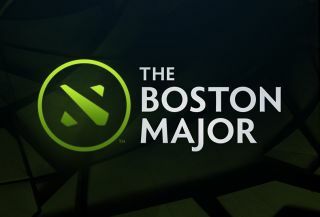 This year's Fall Major will take place in Boston, USA, from the 7th to the 10th of December. This is a big shift in both timing and geography from last year's Fall Major, which took place in Frankfurt in November. It's being run by PGL, who coordinated the well-received Manila Major earlier this year. The unusually-punishing format is likely to raise eyebrows, however: after two days of group stages, sixteen teams will enter a single-elimination bracket with each match played best of three. This is likely necessary in order to fit the Major into three days—the International lasts almost a full week, with the same number of teams. But it does mean no second chances for teams that fall short, so we won't see a repeat of OG's incredible tear through the lower bracket in Frankfurt last year. The chosen venue, Boston's Wang Theatre, won't support the 360-degree staging that has become a staple part of official Dota 2 events over the last year. That's not necessarily a bad thing: it's a comparable space to Benaroya Hall, the comfortable and intimate venue for the International in 2012 and 2013. Questions are raised by the decision to move the Fall Major from Europe to the USA, given that North America already hosts the International. There will only be two Majors this year compared to last year's three, so holding multiple events in the same continent potentially deprives many fans of a chance to attend an official event near them—one of the original aims of the Major system. This suggests a few different possibilities for the rest of the year. One is that the Spring Major moves to Europe, which would at least ensure that the western half of the scene was catered for. Another suggestion is that the International itself moves, perhaps to Europe, Russia, or South East Asia (China seems unlikely given the problems encountered at the Shanghai Major.) While many fans would welcome this move, the International's home in Seattle is convenient for the Bellevue-based Valve, and the company traditionally takes a very hands-on approach to its flagship event. So here's my guess: Boston in December, Russia, Europe or South East Asia in Spring, and back to the USA for the International 2017. Tickets for the Boston Major go on sale starting Friday October 14th.